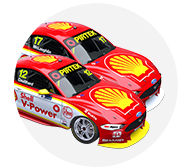 Supercars championship leader Scott McLaughlin pipped Shane van Gisbergen in final practice for the Tyrepower Tasmania SuperSprint. 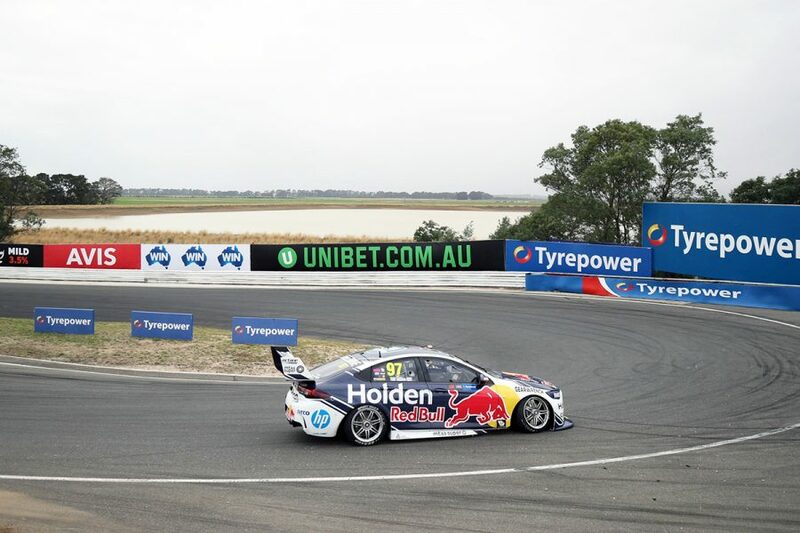 McLaughlin took his Shell V-Power Racing Mustang to a 50.5551s lap of Symmons Plains, to finish 0.0795 seconds ahead of van Gisbergen's Red Bull Holden. They are among a group of 10 drivers skipping the first phase of knockout ARMOR ALL Qualifying later on Sunday morning. However all four Tickford Mustangs will have to navigate Q1, with Cameron Waters its quickest driver in the 30-minute session in 11th. After the early exchanges, David Reynolds was the first driver into the sub-51s bracket, recording a 50.9773s six minutes in. 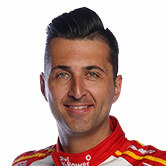 Fabian Coulthard lowered the benchmark 10 minutes later to 50.9090s, and van Gisbergen then moved to the top on a 50.8971s. Reynolds went fastest again with seven minutes left on the clock, turning a 50.6732s to go a relatively-commanding two tenths clear. As further improvements started to come in, McLaughlin displaced Reynolds with a 50.5551s, with Coulthard slotting into second. Saturday race winner McLaughlin's effort was not bettered, as threatening clouds failed to produce rain. 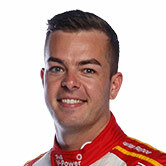 "This track hasn’t been 100 percent strong for us over the years," McLaughlin, who is battling the flu, said. "We’ve had a really strong weekend, obviously yesterday was ideal, but today we’ve come up with a pretty good car. "I feel a little bit better which is good too and just trying to drive the thing as fast as I can." 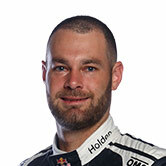 Van Gisbergen split the Shell Mustangs in second, demoting Coulthard to third with his final effort. Saturday polesitter Mark Winterbottom's IRWIN Racing focused on race set-up, and was 23rd before his final run. Winterbottom, though, leapt up to fourth in the closing stages, to finish ahead of Reynolds. James Courtney took sixth and team-mate Scott Pye eighth, the Mobil 1 MEGA Holdens split by Rick Kelly's Castrol Nissan. "The highlight of the weekend so far was the buffet at the hotel on Friday night, and that does feel like a bit of a win," Kelly, who started 18th and finished 17th on Saturday, said. "We changed the car a fair bit and at this track you’re simply moving around your strengths and weaknesses between the different styles of corner. "What the guys have done with the car have certainly made it work today. "We used a different strategy then to use a lot of race tyres in practice to jump into that second quali. It was a high-risk strategy for us but it paid off." 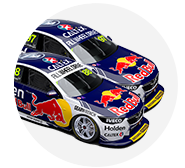 Like Winterbottom, Jamie Whincup spent much of the session in his garage and down the timing screens. Having been as low as 19th, he moved up to fourth briefly during the final flurry and wound up ninth. Tim Slade grabbed the final guaranteed Q2 place for Brad Jones Racing in 10th. Waters and Tickford team-mate Chaz Mostert were 11th and 12th, the former missing a Q2 spot by a scant 0.0048s. Mostert is under investigation for a clash with Jack Smith exiting the hairpin, with the contact having spun the wildcard runner. 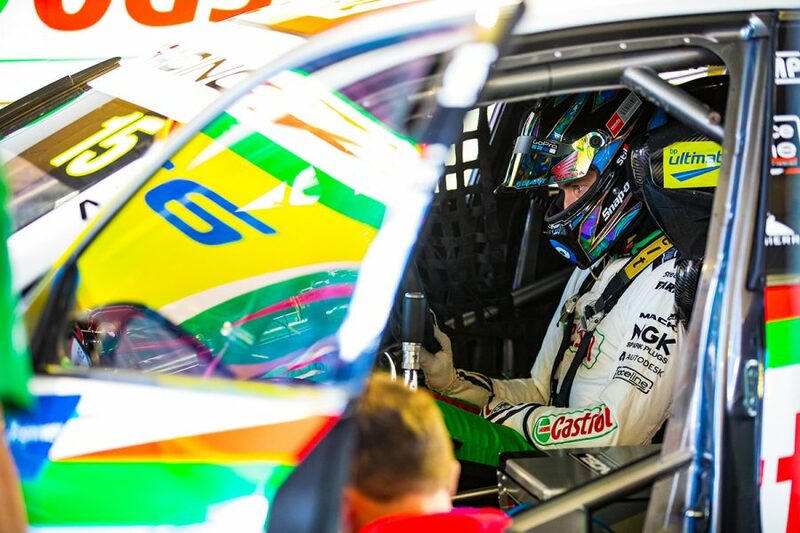 "We made the car better overnight, but still lacking a bit on a green tyre," Mostert said. "But it’s another opportunity to get another run on it [in Q1] and try and tune it up a bit. "We’re still probably deficient in an area that’s going to be hard to work on this weekend, but if we can just do the best job with the car balance we have I’ll be happier." He added of the clash with Smith: "I started my laps than what they did, they were wobbling around and it was just a misread on my thing. "He just didn’t get up it off the hairpin, so super-tight. The smallest nick and obviously that unloads him. "I’m very apologetic to him, you don’t want to make contact in practice, but sometimes those things happen." Their team-mates Lee Holdsworth and Will Davison were 14th and 18th, and will be among the 15 drivers in Q1 vying for five Q2 spots. Anton De Pasquale had a wild spin exiting the final corner with 90s left on the clock. He kept the Penrite Commodore off the fence, while a host of drivers had to take evasive action, and finished 22nd. "It wasn’t too scary; I was more worried that there was a lot of cars coming behind me at the same time," he said. "I was sideways a fair was before I got to the grass. I was trying to hold it on, but it is what it is. "I could of gotten collected by a few cars, but everyone did a good job and we’re all pretty safe. "It was a bit of a tough session, but we’ve got qualifying now so we’ll see how we go." ARMOR ALL Qualifying starts at 11:15am, and the day's 84-lap race at 2:05pm, with teams again to be restricted on changes between them.